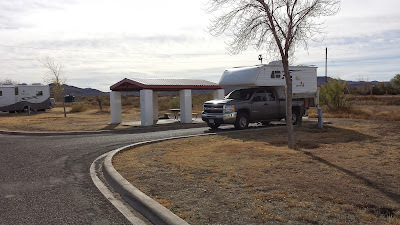 I left Kerrville after 2 nights and headed west on I-10 for about four hours until I reached the turnoff to Texas Highway 17 that led me to Balmorhea State Park outside of Toyahvale. I'd read some good reviews of the park and was interested in seeing the spring fed swimming pool there. 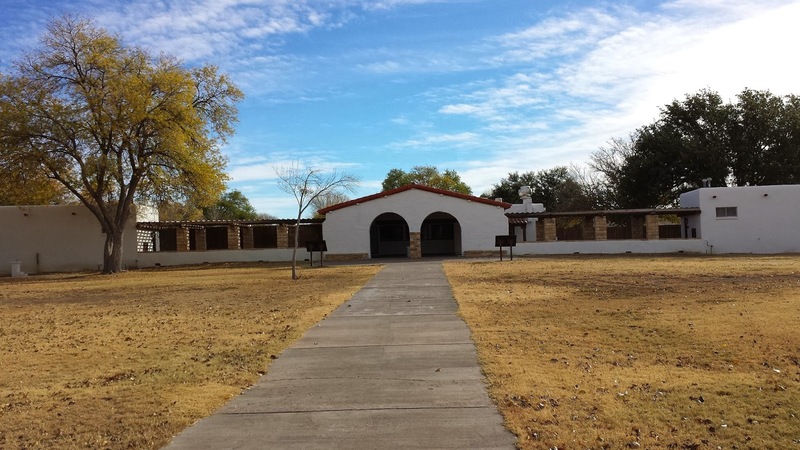 Balmorhea was built in 1936 as part of the New Deal's Civil Conservation Corp which was a program that the government used to give unemployed the opportunity to work and learn skills like carpentry, etc. There are 32 RV campsites and also the Sans Solomon Courts Motel located on the park grounds with 18 small rent-able cottages. On the other side of the park near the pool is the day use area with playground and picnic areas. 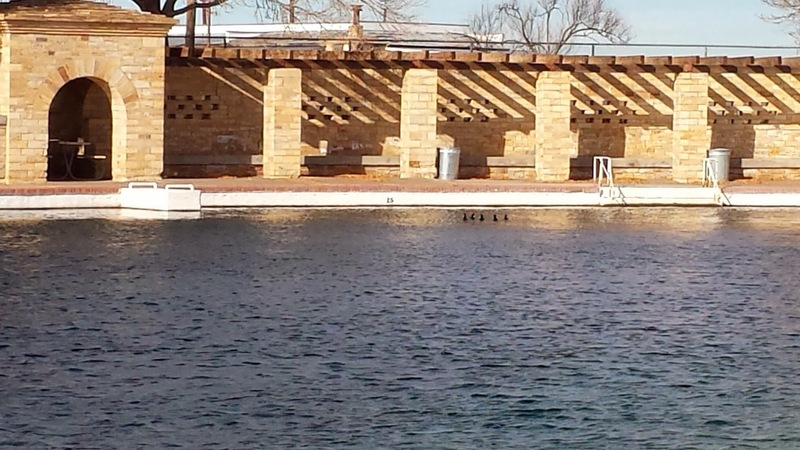 The biggest attraction is the gigantic, 25 foot deep spring fed pool that stays 75 degrees year around. The depth marker on the other side says 25! Although it was in the mid-sixties during my stay at the park it was extremely windy so I had to forgo swimming (hey, no one else was either!) but I can imagine how good 75 degrees probably feels on a July day here in West Texas. 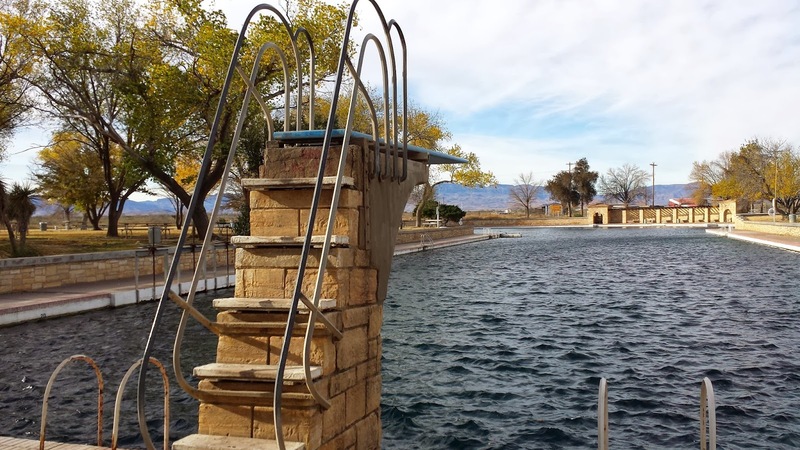 How many parks do you know that have a high dive? The pool is a big U-shape and is truly huge. There is one high dive and 3 "normal" diving boards. The pool bathhouse from the pool, concession stand was closed. All the buildings in the park, including the motel, were built in the same adobe wall - red clay shingle style by the CCC guys, even the campsite table shelters. 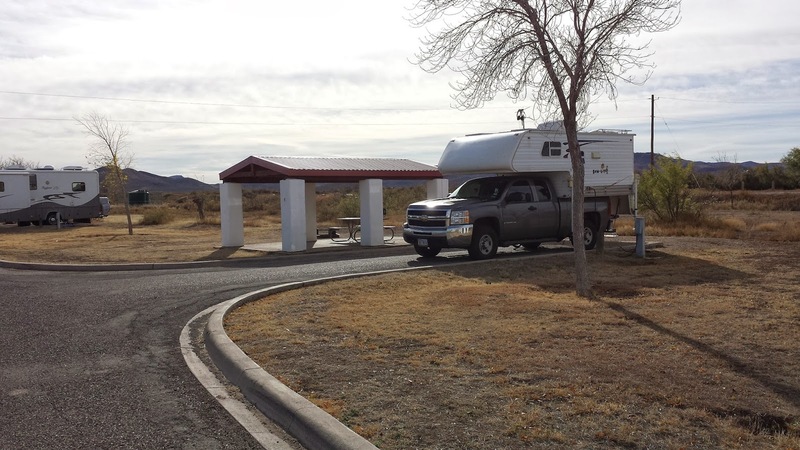 Spacious campsites, note the sparse West Texas vegetation. When the spring fed swimming pool was built a wetland was destroyed. 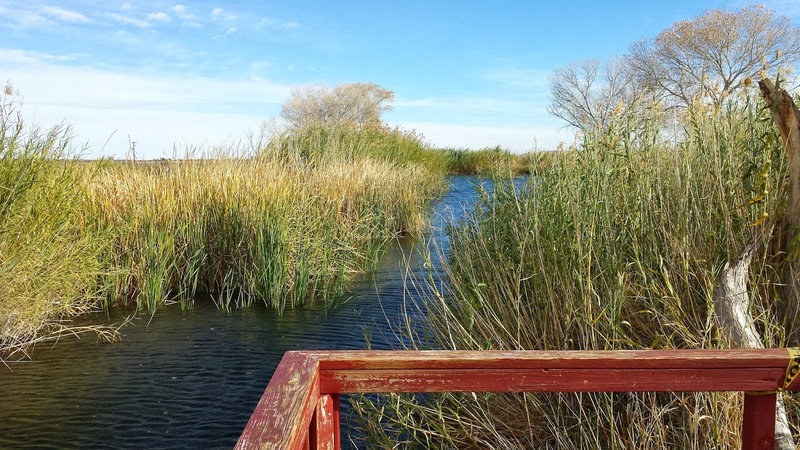 In 1995 the State put in a reconstructed desert wetland. Isn't "desert wetland" an oxymoron? I enjoyed the two days I spent at Balmorhea and recommend it. It's a great value for $14 / night right now! 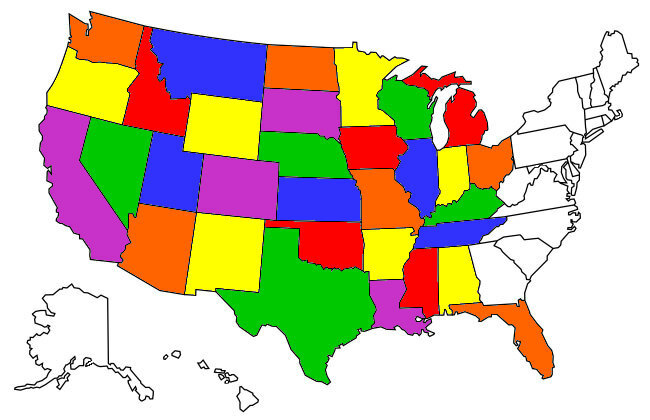 Heading to New Mexico in the morning.